I will agree with most posts. I lived and owned a home moved from Climax. That area is called West Park. At the time it was to be the nice part of town. It has been allowed to run down badly now. So much is rented. Our home was a flattop and we were so proud to be buying our own home. Climax used to have housing on top of Fremont Pass for the workers and their families because of the difficulty of getting from Leadville to Climax. It really had about everything for them to get by. But with the improvement of roads etc. The sold the homes to employees first with no money down. I loved living in Leadville. The people were great and town had most of shopping we needed. Salida was not that far away down not up over passes. Summer is glorious. Myself, I did get cabin fever sometimes but then again I was a stay at home mom with 3 little kids 2yr and 15 mos. apart. Fishing and hunting and camping. For winter sport too. But you are 2 miles high and the history can be seen in old mines, old houses. Wonderful history. What do you think about this area? It looks very ncie but I am not sure about future growth. 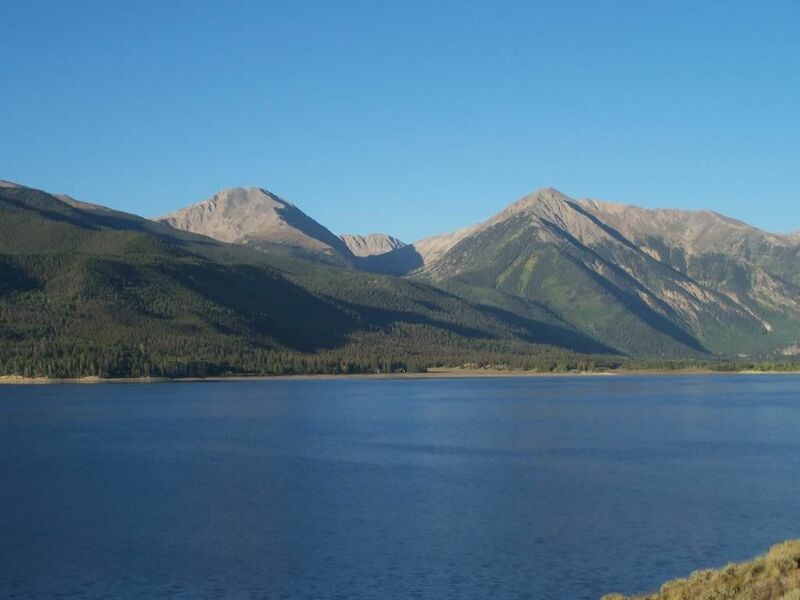 Twin Lakes is beautiful, as is the area around Leadville. Winter is long. Not much growth there. I also love the area (been there many times), but I am not sure if it would be a smart investment or not. It seems the prices of lots are kind of stable year after year. Twin Lakes is an area I'm pretty familiar with. Leadville is pretty depressed economically, especially since the Climax Mine was closed. But it has a lot of history and has a neat downtown area. Twin Lakes has seen a lot of construction over the past decade (15 years ago, there were about five houses on those hills, compared to all the houses there today) but there is not of change in terms of property values, so if you're looking for an investment that's probably not the place. There have been pushes in the recent past to develop nearby hills (especially the mountains across the lake, to the left in the picture posted above) into a ski resort, but the government has blocked any attempt to do this, and there has also been quite a bit of local resistance. There is a good mix of both people that live there full-time and people that only have vacation homes there and both in general oppose any large-scale development. I don't think there will be a lot more growth in that area in the near future-- many of the land parcels have been built upon already and few "desirable" parcels remain for development. I love Twin Lakes and find it to be a great area. Google it to get actual numbers but it is low. Visited Leadville Once... Not for me. Leadville is way bigger than a sneeze. Eagle County (Vail and Beaver Creek ski areas) has a bus that runs to Leadville. Leadville is not the coldest place in colorado and for those not familiiar with it, The dry cold is not nearly as bad as cold in humid areas. The road that the bus runs on is pretty scary by car but the road that goes to Copper mountain is not so bad. That will also get you to the Keystone, Breckenridge and Arapahoe Basin ski areas.